Daihatsu specializes in minicars including the Mira (pictured at the front). TOKYO (Reuters) -- Toyota Motor said it would buy out the rest of Daihatsu Motor in an all-stock deal worth about $3 billion as part of its strategy to strengthen its push into small cars for emerging markets. 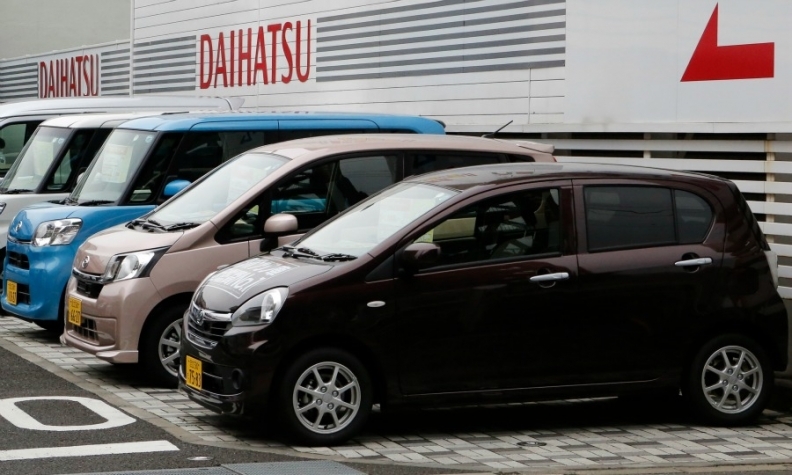 The companies intend to develop Daihatsu into a global brand as they focus on growing markets for small cars, noting that entry-level car markets were expanding due to economic development and that vehicles were becoming smaller due to environmental and traffic concerns. "We see this as the perfect opportunity to cement our relationship with Toyota, and, by doing so, to embark on a new period of growth, and to elevate the Daihatsu brand to a global standard," Daihatsu said in a statement. Daihatsu specializes in 660cc vehicles and produces models including the Mira and the Cast, while also supplying car bodies and engines to Toyota and Fuji Heavy Industries Ltd. It competes fiercely with Suzuki Motor Corp. in Japan, where both automakers each hold about 30 percent of the minivehicle market. It also exports to Europe and North America, where some of its models have been sold under Toyota's Scion brand targeted at the youth market. Global sales for Daihatsu slid 13.3 percent in 2015, the weakest sales performance in the Toyota group last year, which also includes the Toyota and Lexus brands and truck maker Hino Motors Ltd. The announcement comes days after Toyota denied a report that it is discussing possible tie-ups with Suzuki from a variety of angles, including cross-share holdings.